See more objects with the color darkgrey grey darkgrey slategrey darkslategrey or see all the colors for this object. This is a Drawing. It was created by Winslow Homer. It is dated 1881–82 and we acquired it in 1912. 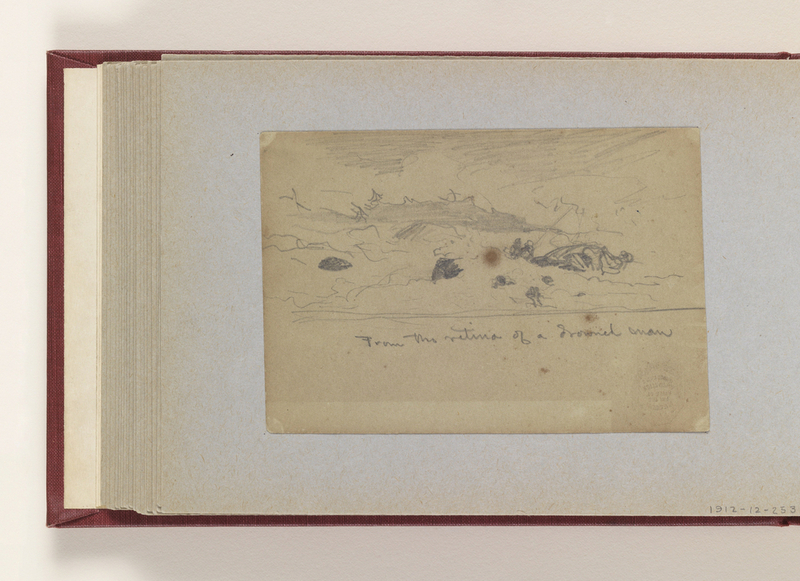 Its medium is graphite on wove paper, mounted in an album. It is a part of the Drawings, Prints, and Graphic Design department. Stamped upside down in ink at lower right: Museum for the Arts of Decoration Cooper Union. Inscribed in graphite across lower half of sheet: From the retina of a drowned man.